COME AND SEE THE BUTTERFLIES AND POLLINATORS IN ACTION! Donations to support the garden are tax-deductible. The Friends of Washington Market Park group planned and produced a butterfly garden for our favorite park. We hope to make the park a welcoming stop for butterflies – some of which are endangered in NY state – and educate the community in the process. The garden beautifies an otherwise unplanted area of the park and provides an educational opportunity for children and adults alike to learn about butterflies, their life cycles and the plants with which they interact. Funding was secured in autumn 2016 with the help of local families, the Park’s Department and Partnership for Parks. 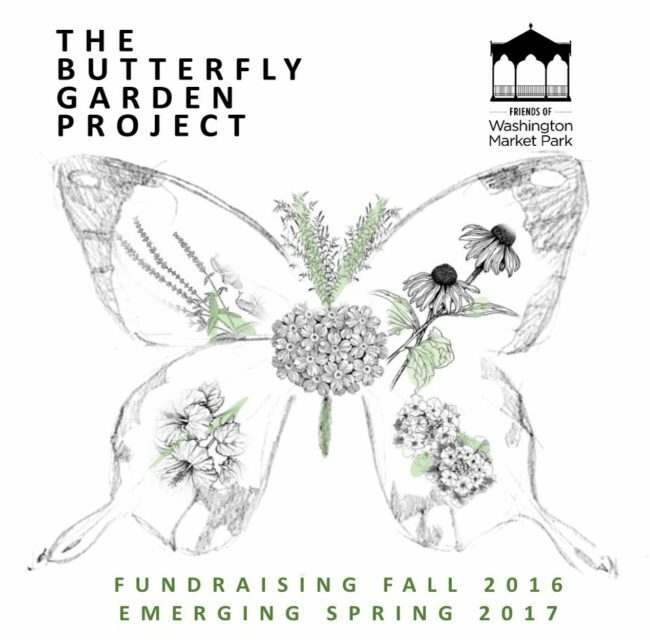 During phase one we raised $1500 to fund plants and signage for The Butterfly Garden. We were awarded $750 in matching funds as part of the Partnership For Parks Matching Grant Challenge with ioby! During phase two we worked with the NYC Parks Department to select fencing for The Butterfly Garden and its paths. During phase three, the Parks Department installed the garden fencing and pathways while we developed garden signage and purchased and installed plants and soil amendments. Our Butterfly Garden is open now! 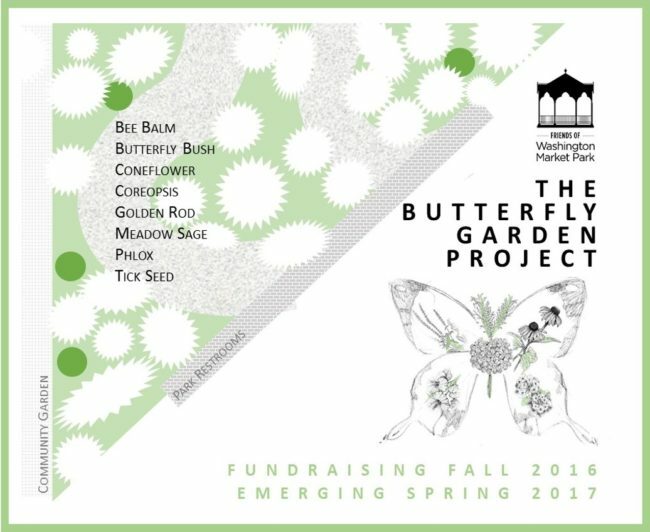 With The Butterfly Garden at Washington Market Park we hope to benefit butterflies in New York City, create an educational feature for the community, and beautify Washington Market Park all at the same time. We hope you’ll join our campaign by contributing, spreading the word and visiting the garden and its pollinators next spring and beyond! Learn how to create “waystations” for monarch butterflies, read about the life cycle of the monarch, and more at this website from the University of Kansas. Join others and help track the monarch population as the butterflies migrate across North America each year. Find out how to participate in citizen science and see information about the North American monarch population at this site from the U.S. Fish and Wildlife Service. This website, run by the University of Minnesota extension school, provides a variety of resources for teachers and parents.